The Boston Crusaders pull off some close-quartered horn maneuvers during the CYO Nationals contest on July 10, 1978 in Boston. 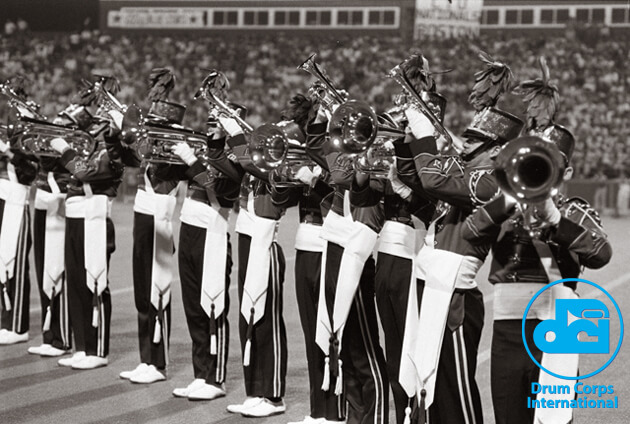 Long sponsored by the Catholic Youth Organization from the mid 1960s to 1984, the competition annually attracted a vast number of East Coast powerhouse corps and others. The Crusaders are three-time CYO National Champions, winning the event in its inaugural year in 1964, in addition to 1966 and 1967. In recent years, the corps has resurrected the CYO Nationals moniker, hosting a tribute to the event as part of the annual Drum Corps International Tour. This year's show will be held Saturday, June 29 in Quincy, Mass.